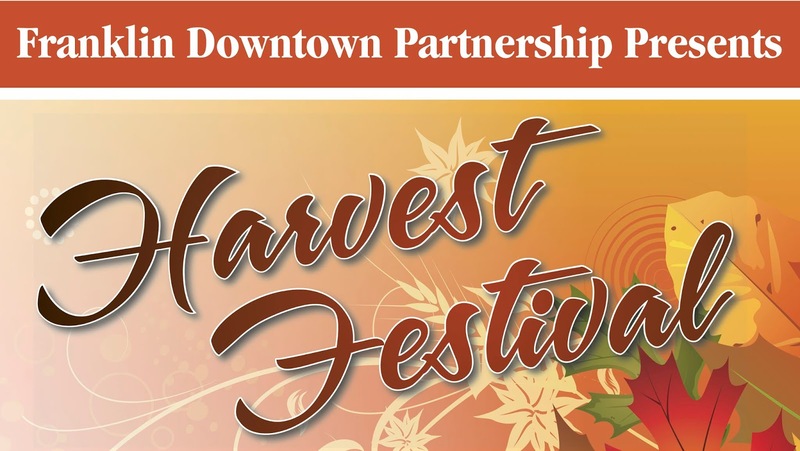 Nearly 7,000 people are expected to attend this year’s Harvest Festival which will feature great local entertainment, kids’ activities, artisans and crafters, fall-themed giveaways, and delicious food from local restaurants. In case of rain, the Harvest Festival will take place on Sunday, October 14. The event will be held on Main Street, Dean Avenue, West Central Street, and Depot Street in downtown Franklin, as well as the large parking area behind Rockland Bank. This year, the always popular Harvest Festival promises to be the largest one-day event the Partnership has ever produced. More than 160 vendors, crafters, exhibitors and groups will participate in this celebration of the arrival of autumn! Main Street, and portions of Dean and Depot Streets, will be closed to vehicular traffic.